I love the dress! Old Navy has a similar one that I just found earlier this week but the color is sold out online now! I’m 5’7″, so definitely not short but lately I have just not wanted to wear flat shoes. I love my wedges and heels. My two favorite pairs are super comfy! What a flattering style to the dress. I remember they used to make dresses like that years ago. This is a nice style to have in your wardrobe. 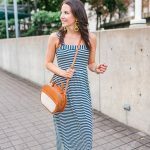 Thanks for linking up at Who’s Wearing What Wednesdays at Pastries, Pumps and Pi! I love this whole outfit! I have worn something similar many times over the last couple of years. But now I think I need to add a purple bag! Love it! 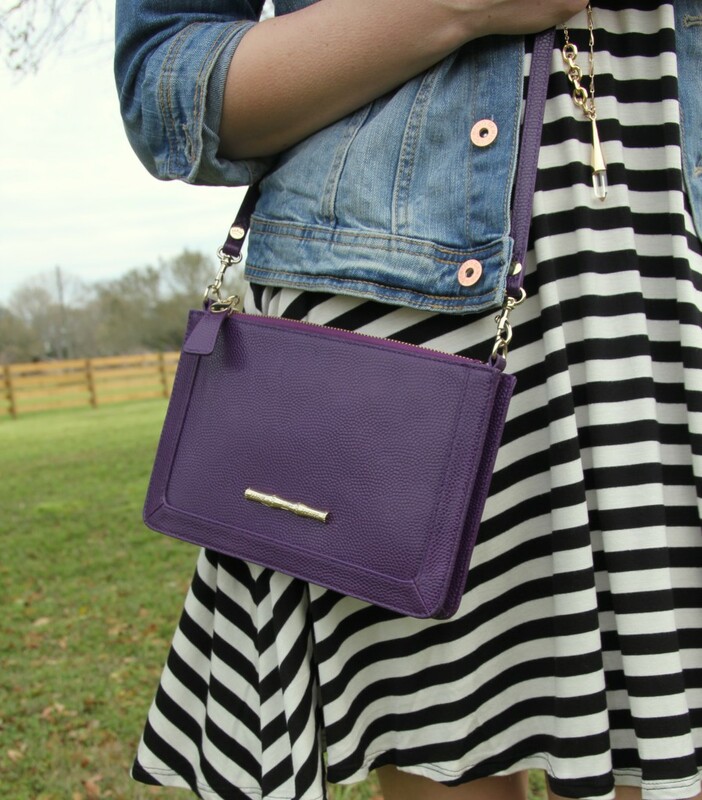 I love your striped dress and that purple cross body bag is adorable! I love the pop of purple against that dress – so cute!! And I totally agree – for the next two months, I am going to be outside as much as possible before that crazy summer heat hits! 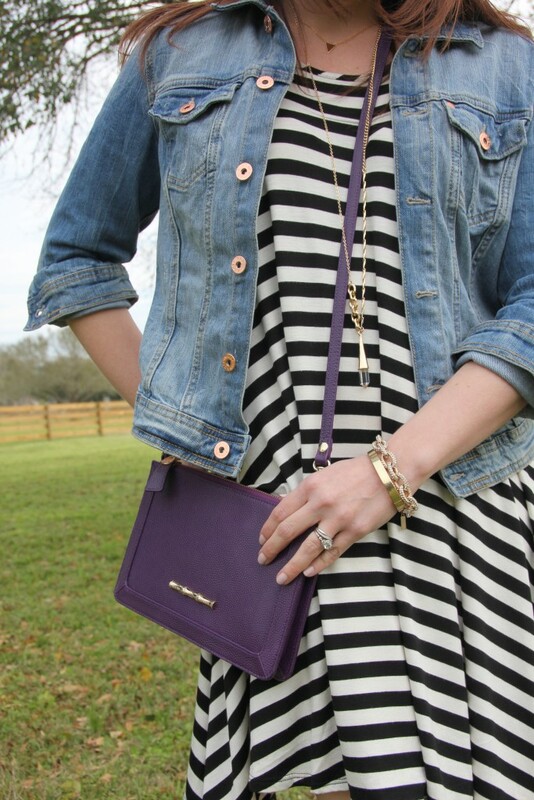 Very cute dress – I love the purple purse too. I love your dress it’s totally something I would wear! It looks cute with the denim jacket and the purple bag! 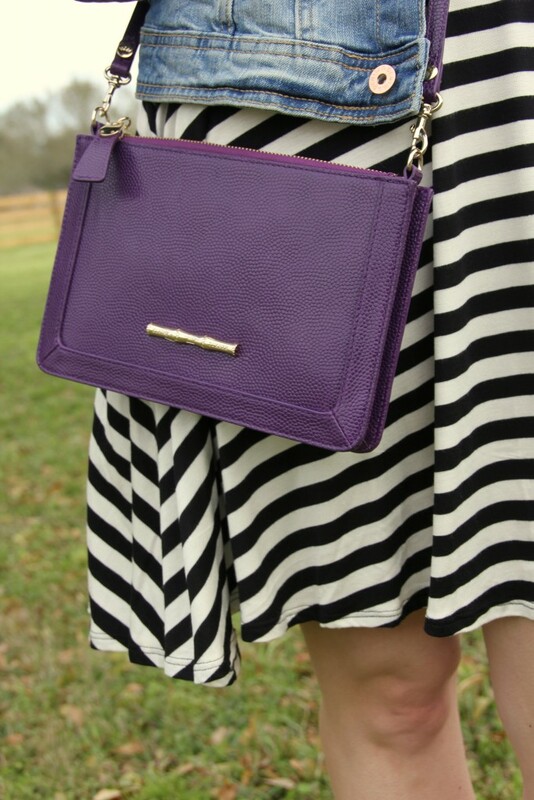 The purple bag is darling with this outfit! 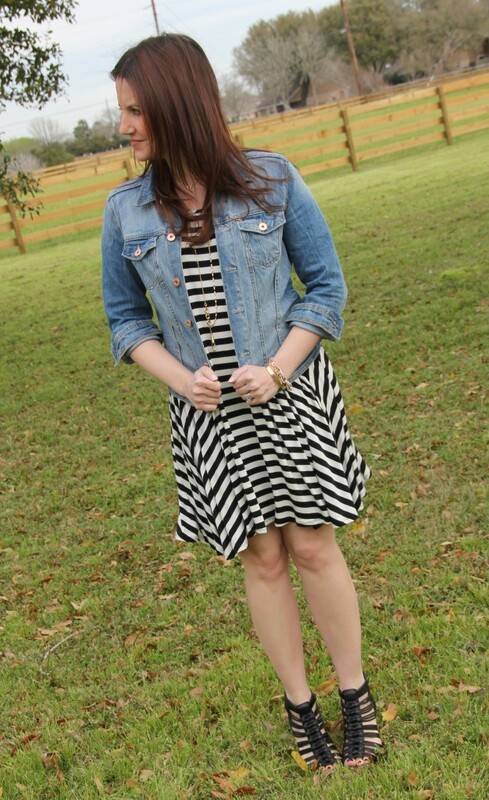 And I’m such a fan of a good striped dress like this! I love the layered necklaces! I LOVE the purple bag! Super cute and a great way to add color to your outfit. Love this look! I like how your purse adds just a splash of color to brighten it all up! 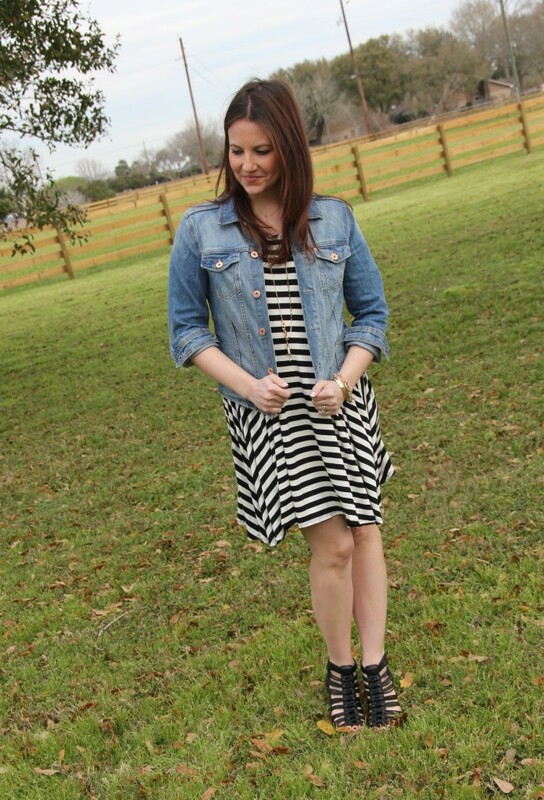 Your striped dress is adorable! 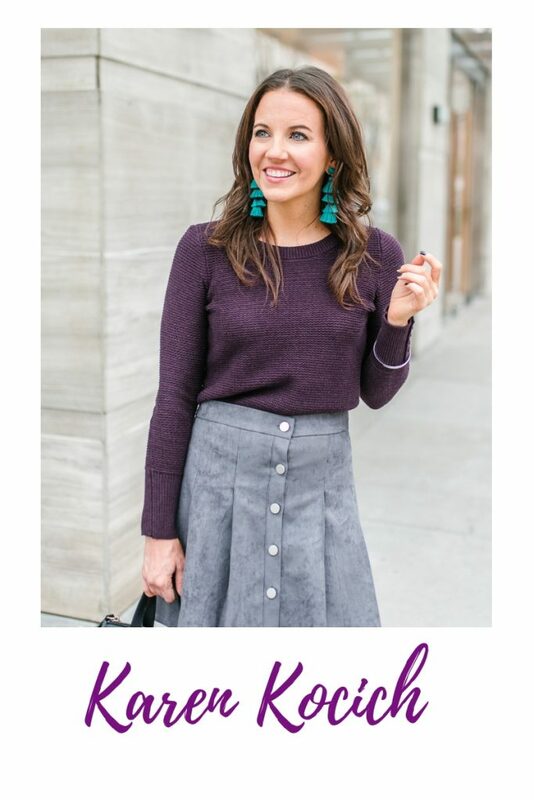 Love the pop of purple! Such a fun look!